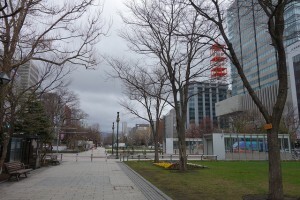 Odori Park is crossing the central Sapporo from east to west. It expands about 1.5 km between Odori Nishi 1 district to Odori Nishi 12 district. It is very important as it occupies the central area of Sapporo. There are lots of tourists every February to see the snow festival held at the park. The university is located mainly in Sapporo city which is a national school. It was launched in 1918. You can enjoy walking around in the large campus. The Hokudai (abbreviation of Hokkaido University) botanical garden next to the university is available for visitors. It’s basically a large exploded crater. The name sounds quite ominous but it’s one of the famous travel spots in Hokkaido located in northeastern area from Noboribetsu hot spring. Its diameter is around 450 m.
Once you walk toward the valley, there is sulfur smell, it’s getting thicker going toward, you cannot see anything with smoke. You just feel like going around the hell valley with a 10 min walking circle road and observatory containing view of spreading volcanic gas and boiled water. It’s an exciting place. Furano city is in southern Hokkaido and famous for lavender gardens for tourists. It’s better to visit there when lavenders are in bloom in July. It has been one of the sightseeing places in Hokkaido since the popular TV show From The North Country were shot there. Furano Ski Resort is located in this area, where the World Cup was held. 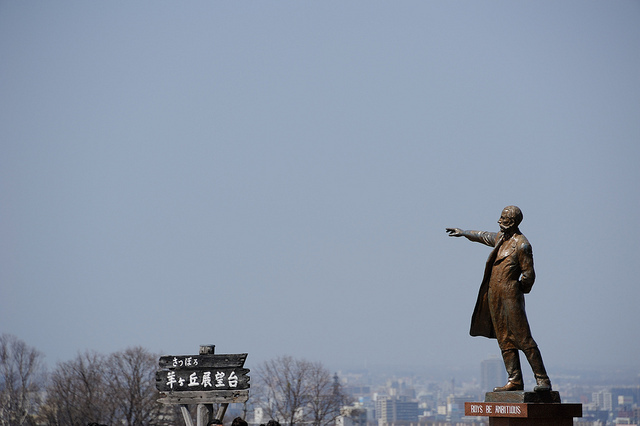 This sightseeing place is top of great spots in Sapporo. You can observe Sappiro city from southeast, behind is Willian Smith Clark statue. The scenery is often seen by everyone. Japanese Commercials that Feature Hollywood Stars!